Here at Andy J. Leisure we have recently invested in the latest most efficient and environmentally friendly printing technologies available. 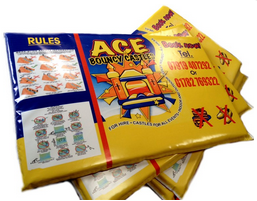 Due to this, we are able to print banners on nearly all flat materials of any size required. Not only that, all our banners are printed through techologies that allow them to be safe for both indoor and outdoor use. 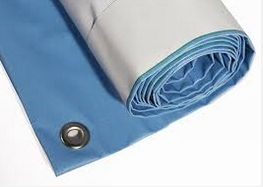 We provide professional banner printing complete with eyelets. 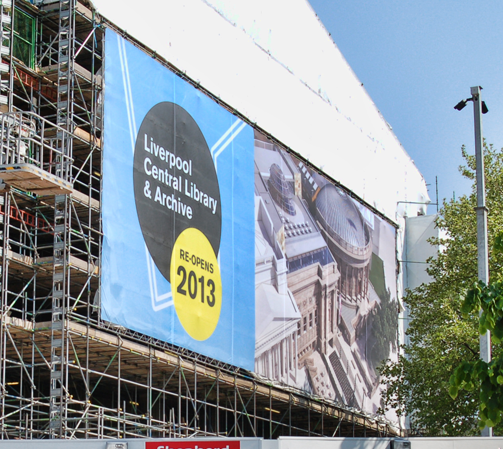 Our printing technology allows your banner to remain outside for at least 3 years. We can build these banners to any size and print for all occaisions such as business use or social use such as birthdays. We have the correct machines to allow us to do full building prints using the correct lightweight mesh materials. These provide great advertisement for buildings undergoing construction or development or just down the side of any large building in general. This type of banner is professionally stitched, hemmed and eyeletted to ensure it is of the highest quality. We also offer printed mats which can either contain your logo and details as the picture displays below, or simply have a matching design for your inflatables such as disco, party or superhero. Thanks to recent investments we have made into printing technologies, our mats are now more durable than ever before. As we manufacture interchangeable artwork inflatables, we also provide the service of printing artwork sets for these and other inflatables you may have purchased. Our artwork is printed and cut into shape to fit our inflatables, but we can also do this for any custom sizes you may have. Just let us know your requirements.